Drug Interactions and Stroke: Can Drugs Cause Strokes? The average age of a stroke survivor is 68 years old but, in recent years, stroke cases in younger age groups have increased. The direct correlation between drug use and stroke risk is well-known and strokes among younger age groups commonly result from illicit drug use, prescription drug abuse, and other unhealthy lifestyle habits. While not all strokes are preventable, individuals can always practice healthy lifestyle choices to minimize their stroke risk moving forward. Additionally, if an individual does suffer a stroke from drug use or alcohol abuse, drug abuse treatment can play a role in the stroke recovery and rehabilitation process. Family history and race are risk factors that cannot be changed. While there may be little an individual can do about his age or genetic predispositions, unhealthy lifestyle habits can and should be addressed. There are many health conditions that are linked to increased stroke risk. People with diabetes are two to four times more likely to suffer a stroke in their lifetime when compared to those without diabetes. There is also an elevated stroke risk for obese individuals due to inflammation from excess fat, which contributes to poor blood flow and increased risk for the kind of blockages that trigger a stroke. In this sense, diet and exercise are important to consider when managing stroke risk. Adopting healthy habits and behaviors is a great first step in stroke prevention. However, some individuals can increase their risk of stroke by using legal and illicit drugs or abusing prescription medications. Smoking increases a person’s stroke risk, even years after quitting. 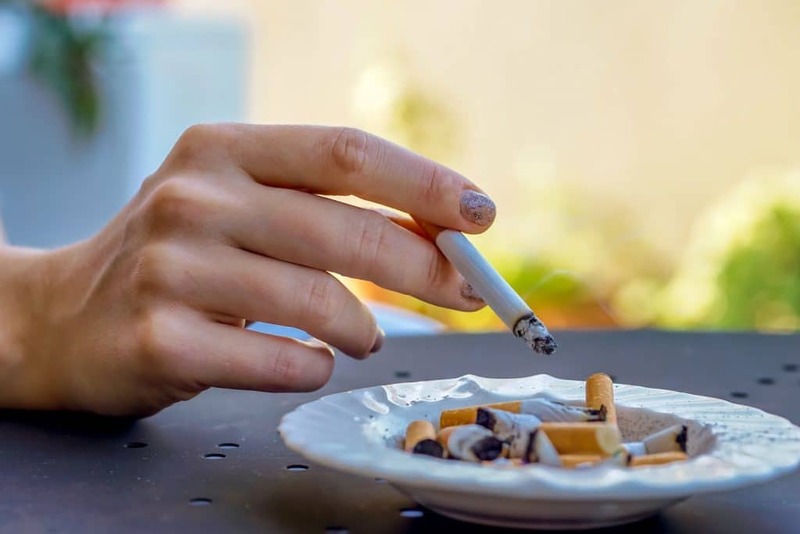 According to a recent report, “studies performed across various ethnicities and populations demonstrate a strong association between smoking and stroke risk, with current smokers having at least a two- to fourfold increased risk of stroke compared with lifelong nonsmokers or individuals who had quit smoking more than 10 years prior.” The CDC even claims that exposure to secondhand smoke can also increase the risk of stroke. Excessive alcohol consumption is another common stroke risk factor for stroke. Individuals who consume more than two drinks per day are 34% more likely to suffer a stroke than light drinkers. The heavy drinkers studied also suffered a stroke on average five years earlier than light drinkers. To minimize the risk of stroke, individuals should consume alcohol in moderation: women should limit themselves to no more than a single drink per day and men should consume at most two drinks in a day. Along with smoking and drinking, which are harmful but ultimately legal, illegal drug use and prescription drug abuse have been shown to increase the likelihood of stroke — especially among younger individuals. Today, cocaine is one of the most widely used illicit drugs in the United States with an estimated 1.9 million users over the age of 12. A recent study suggests that an adult in their 30s or 40s may increase their risk of stroke by a factor of six as a result of using cocaine. So, can cocaine cause a stroke? A link between cocaine and stroke has been known since the 1970s and early 1980s, so the answer, in short, is “yes,” however, the specific mechanisms are more complex. According to a study conducted by researchers at McLean Hospital, “cocaine use temporarily narrows arteries in the brain, thereby reducing the blood supply to various brain regions. Researchers had suspected this for many years because they knew that cocaine could cause vasoconstriction, or narrowing of blood vessels.” This narrowing of blood vessels as a result of cocaine use can cause a stroke. It is also important to note that a history of cocaine abuse may lead to an increased risk of cocaine-induced stroke, especially among male patients studied. “The more often the men had used cocaine in the past, the more likely the drug was to narrow blood vessels, which suggests that cocaine has a cumulative effect on brain arteries,” per the McLean Hospital study. Further research shows that cocaine use may also result in an increased risk of stroke long after an individual has stopped abusing cocaine. Even after abstaining from cocaine use for a minimum of six months, brain imaging of former abusers illustrated diminished blood flow when compared alongside control subjects, per a report by the National Institute on Drug Abuse. Nonetheless, illegal drugs aren’t the only cause for concern when it comes to increased stroke risk. There are many drugs with genuine therapeutic value that have been linked to stroke — particularly when these drugs are abused. Prescription drug-induced stroke, specifically Adderall stroke risks, are cause for concern. The prescription medication Adderall is classified as a stimulant used to treat attention-deficit/hyperactivity disorder (ADHD) as well as the sleep disorder narcolepsy. Currently about 16 million American adults over 18 are prescribed stimulants, with about 400,000 individuals believed to abuse these stimulants, according to the American Journal of Psychiatry. Between 2006 to 2011, unprescribed use of Adderall among young adults had increased by 67 percent and Adderall-related visits to the emergency room increased by 156 percent. While the underlying mechanism is not fully understood, it is believed that stimulants “are thought to increase stroke risk by raising blood pressure and triggering spasms in blood vessel walls that can damage and narrow the vessels,” according to a report. After suffering a stroke, the rehabilitation process will begin. Unfortunately, there is a high risk of stroke survivors having a second stroke. According to the CDC, nearly a quarter of strokes annually are recurrent. For this reason, addressing the underlying cause of stroke — be it drugs, alcohol, or inactivity — is a key component of stroke prevention moving forward. Smokers and heavy drinkers experience a higher risk of suffering another stroke as a result of these unhealthy habits. Survivors who continue to smoke after a stroke increased their “risk of death three-fold,” according to one report. Drinking also increases the chance of atrial fibrillation, another major risk factor for stroke. Thankfully, there are many accessible methods to help someone quit smoking. These can be nicotine replacement therapies or the “cold turkey” approach. Some prescription medications help people abstain from cigarettes, including bupropion and varenicline (commonly marketed as Chantix). These prescription drugs have been shown to help with cravings and other difficult withdrawal symptoms. The recovery process can be complex if a survivor is also struggling with substance abuse. Nearly 24 million teenagers and adults currently struggle with drug and alcohol addiction around the country. Sadly, according to The New York Times, “only about 1 in 10 gets treatment, which too often fails to keep them drug-free.” For many, the first step in dealing with addiction may require a stay at a hospital or treatment facility, where potentially dangerous withdrawal side effects like hallucinations, tremors, and even seizures can be managed. 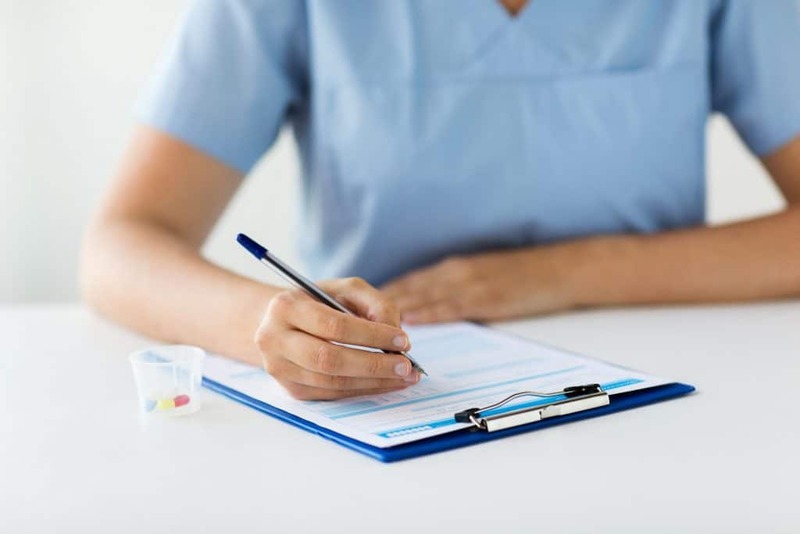 Combining psychotherapy with inpatient/outpatient addiction treatment and cognitive behavioral therapy (CBT) can be a particularly effective treatment strategy. During a CBT session, the therapist helps the patient modify his or her thought patterns to identify negative thought patterns and redirect a patient’s perception and behaviors to a more positive outcome. Therapy is critical to help people struggling with addiction to build healthy habits outside of drugs and alcohol, but a positive social support network is invaluable. Support groups can be helpful for survivors during the recovery process, as these groups are usually comprised of individuals who are sharing a common life experience. This allows these individuals to support, provide insights, and relate to others with common understanding. While there may be very little an individual can do about genetic stroke risk factors, developing healthier lifestyle habits is a solid first step in stroke prevention. It’s never easy to break a habit, and this problem is only more complicated when it involves chemical dependence. Nonetheless, don’t wait for a medical emergency to intervene and initiate the pathway toward recovery. Here at Saebo, we are committed to stroke support and recovery for all survivors and their families. Saebo offers a wide range of products that combine cutting-edge technology with evidence-based rehabilitation techniques. Our offerings and network of Saebo-trained therapists can help you or a loved one to obtain all the necessary tools to maximize stroke recovery.